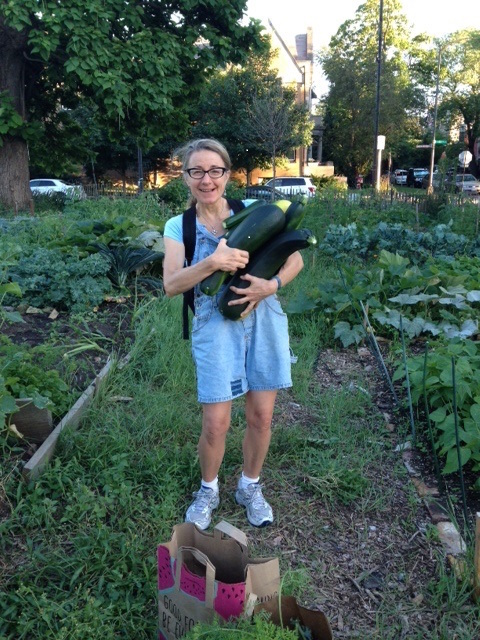 Here is my charming and erudite friend Julia with many large zucchini. What to do with them is a persistent problem for vegetable gardeners who choose to grow summer squash. After making all the usual zucchini and summer squash dishes, I discovered an unusual and delicious soup in Mark Bittman’s How to Cook Everything Vegetarian. It’s really a hybrid between zuppa and risotto. It’s creamy, dairy-free and very tasty. In a medium-sized soup pot, add the olive oil and heat over medium heat. When hot, add the onion and cook until soft. Add the garlic and cook a minute or two. Add the rice and stir to coat with oil. Continue cooking, stirring occasionally, until fragrant. Add the grated zucchini, salt and pepper. As the zucchini starts to wilt, it releases its liquid. Continue stirring occasionally until all the liquid is gone and the mixture just begins to stick to the bottom of the pan. (This step is what makes this recipe interesting. The rice absorbs the zucchini juice and plumps up. It took longer than Bittman indicated in the recipe but be patient because this step is exactly why this soup is so unusual and very delicious.) Once the zucchini liquid is gone, add the stock and cook for 20-30 minutes until the rice is tender and the grated squash is melting into the soup. In a large heat-proof bowl, whisk the eggs until creamy. Whisk in the lemon juice. Take a large spoonful of broth (no vegetables) from the pot and slowly, drop by drop, add it to the eggs. Whisk constantly so the eggs do not curdle. Repeat until the egg mixture is thick, smooth and warm. Bring your soup to a gentle bubbling. Slowly stir in the egg mixtures. Taste and season as needed. Serve immediately. Garnish if you wish. 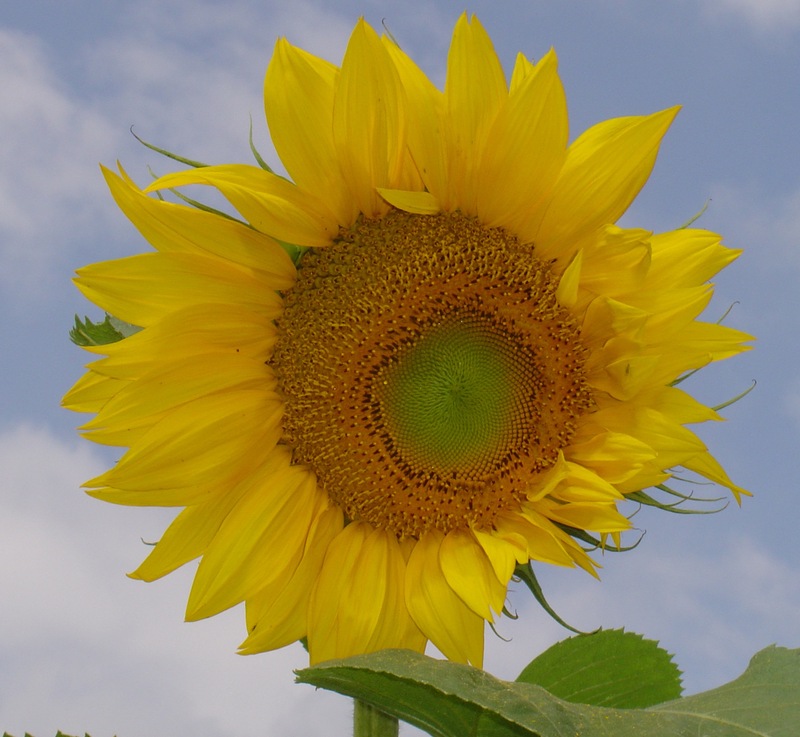 Hope you enjoy this as much as I did and it gives something exciting to to do with all that summer squash. P.S. This soup is great cold the next day! This entry was posted in summer squash, zucchini. Bookmark the permalink.